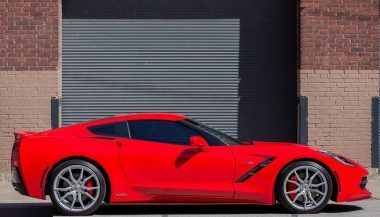 This is Corvette #1,445 off the line of the new C7 generation! 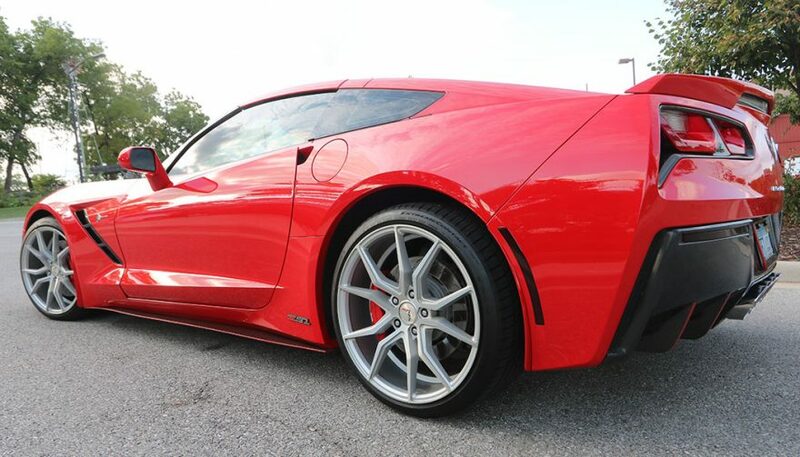 I purchased this 2014 Chevrolet Corvette new on October 15, 2013. 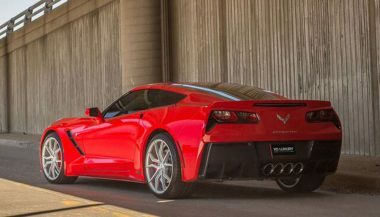 This is Corvette #1,445 off the line of the new C7 generation! 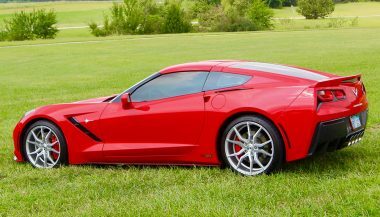 My Corvette has the awesome Z51 Package but I have also made many additional OEM and aftermarket modifications. 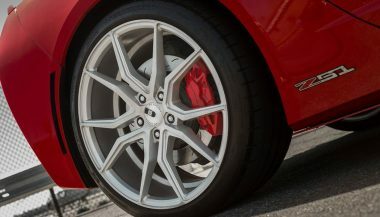 Some highlights include a 20% Tint on the exterior windows, the 3LT Interior Trim Package upgrade, a Dual Mode Exhaust, Magnetic Ride Control that has been Lowered on Stock Bolts and the popular 7 Speed Manual Transmission. 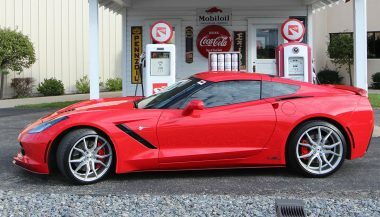 My Corvette has the 376 cubic inch V8 that, with the upgrades I have added, is now making 517 hp and 515 lb-ft of torque! The modifications I have done to my car fall into two major categories; Carbon Fiber, and a Carbon Fiber Look achieved by Hydrographics. In true carbon fiber I have upgraded the interior to feature a carbon fiber dash, center console, and iconic Corvette waterfall. I have added a flat bottom steering wheel with carbon fiber steering wheel paddle shifters and switches. More of my interior modifications include an upgraded center console grab handle, carbon fiber sun visor covers, turn signal end caps, door kick plates, driver & passenger door window switches, dash switch plate, and HUD display switches. I’ve added custom center console badging, upgraded the shift knob, passenger dash yoke, passenger door insert, door sill frames and to top it all off a custom Corvette key fob! 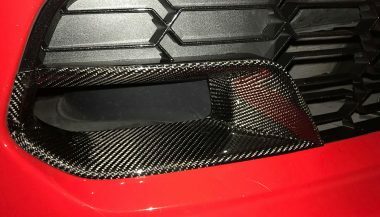 On the exterior you will find a carbon fiber license plate holder, racing side skirts, front splitter, and a lower rear fascia with a racing diffuser. 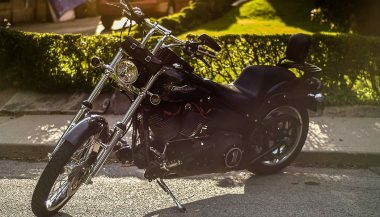 You will also find carbon fiber fins, hood vent, tail light bezels, wheel center caps, rear quarter vent covers, rear hatch struts, front side vents all to match. I’ve even upgraded the oil cap in carbon fiber/torch red trim! 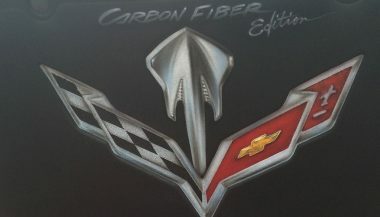 I have applied the carbon fiber look to the throttle body cover, under-hood heat extractor, air intake cover, plenum cover, dipstick, fluid covers, fuse box and engine cowling. 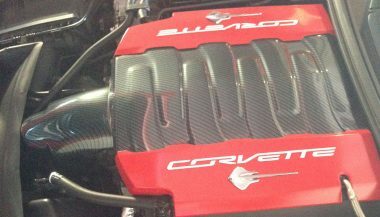 To make the Corvette sound better I added a Corsa Extreme exhaust with double helix x-pipe and chrome tips. Other add ons include: jacking pucks, Stingray engine caps/fluid covers, splash guards (torch red), Stingray logos (for fuel rails), torch red engine compartment trim covers, torch red ecm brake line cover, LED side markers that have been blacked out, led license plate and trunk bulbs, Stingray door sills, Stingray trunk mat, Stingray/C7 mats from Lloyd’s, C7 valve stem caps, C7 crossed flags logo (between the seats), torch red fuel rails, Stingray engine hood liner (custom airbrushed), Z51 badging, seat belt, guide mod, window roll up/roll down module, throttle body spacer, alternator cover (torch red), and red seat belts. XO Luxury “Verona” wheels really make the stance look right. I’ve also added a Halltech cold air intake, red ambient footwell lighting, Powerstop Z26 brake pads, Continental Extreme Contact DWS 06 tires, ported throttle body (WeaponX), and leather horn pad. To make the look complete I’ve added a ZO6 grill w/carbon fiber air intakes and to protect the front end an Expel ClearCoat on the nose. 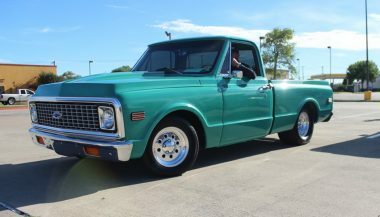 This is my first Chevrolet and my first Corvette. I call this car the “Carbon Fiber Edition”. Literally every exterior piece that was OEM black metallic has been replaced with real Carbon Fiber! Also, the majority of the interior is now done in Carbon Fiber. 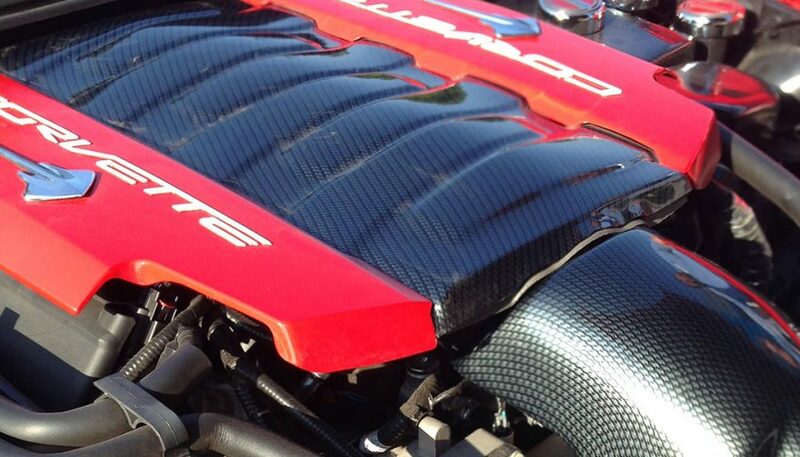 Plus, the engine bay is the same way – Carbon Fiber. 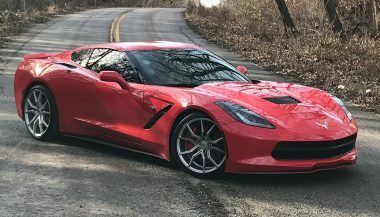 This is my first Chevrolet and my first Corvette. I have always LOVED Lamborghini. That white Countach was the poster on my wall as a teenager! I love the wedge shape and the scissor doors. So my Corvette is my Lamborghini. If I had an unlimited budget, I would add more Carbon Fiber inside the cabin. Plus, I would do all the external body parts in exposed Carbon Fiber! I am a disc jockey at the #1 radio station in Kansas City, Missouri called 101 The Fox (KCFX-Kansas City). 101 The Fox is also the #1 Classic Rock radio station in the United States! 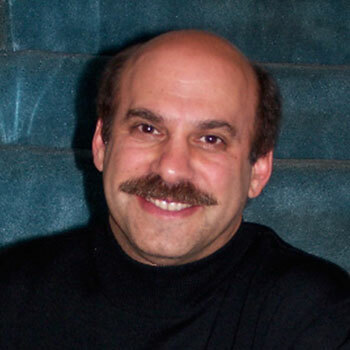 I have been a disc jockey on Kansas City radio for the last 40 years! I am also the Public Address Announcer for the Kansas City Mavericks hockey team in the ECHL. I am the only voice of Kansas City hockey for the last 28 years. I am the President of the Corvette Club of Kansas City, Missouri. 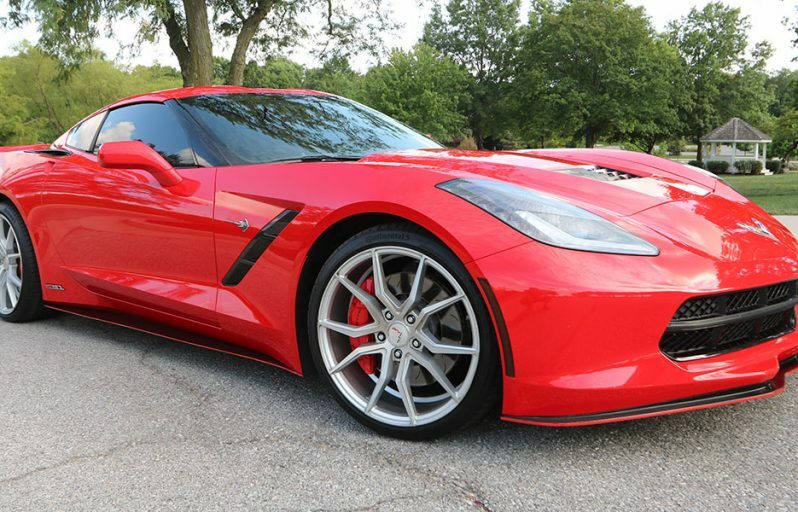 I am a Moderator for CorvetteForum.com, in the C7 and C8 sections and I also am an Administrator on the AcuraZine.com website! You can hear me announcing as the Master of Ceremonies for the Corvette FunFest at Mid America Motorworks in Effingham, Illinois each year. 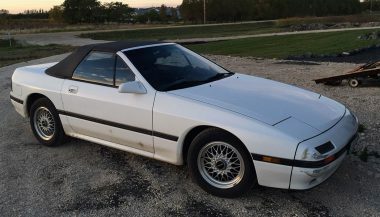 Check out my 1988 Mazda RX-7 Convertible project car, I am going to port and turbocharge the rotary engine, nothing will be untouched!